« Is zero weight a feature? I’ve been meaning to try this out for some time, and my recent trials with Amazon’s US Kindle Store prodded me into action. Popular SSH clients (like OpenSSH and Putty) have features that allow tunneling. Amazon Machine Images (AMIs) normally have some way of being administered over SSH. So… start up an EC2 instance where you want a tunnel end point (in my case the US) SSH into it, and let some web traffic hitch a ride. There are LOTS of AMIs out there, and the requirement for this is nothing more than an SSH daemon. For the purpose of my test I used one of my old AMIs that I made with CohesiveFT Elastic Server. From the AWS console or EC2 API Tools (or whatever your preferred higher level tool is). On Windows you’ll need Cygwin to get OpenSSH. On most Linux distros it should be there already. Once you sign in you should have a working tunnel, now to use it. I use Chrome as my main browser, and tend to use Firefox for experimental stuff like this. When you OK back to the browser you should now be connected to the web via the EC2 instance. 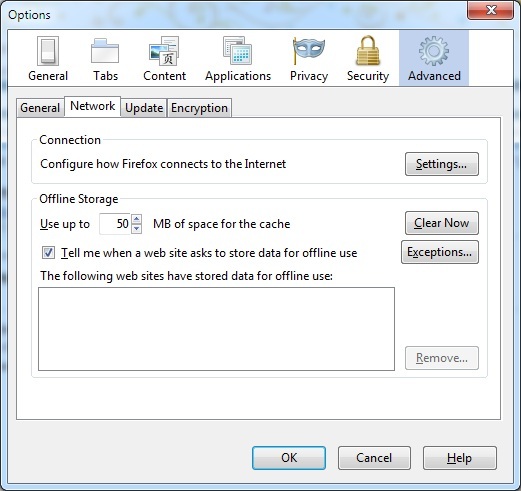 Don’t forget to shut it down when you’re done and revert Firefox back to ‘No proxy‘. NB2 I’m well aware that there are other means/services for doing this. EC2 is probably optimal for short term low bandwidth usage. Other approaches (see below) may be better if you want to move a lot of material around over a longer period of time. Update 1 – 13 Dec 2010 – I got sick of fiddling with Proxy settings in Firefox, so I’ve now started using Wyzo for all of my proxied browsing. It’s pretty much a skinned Firefox, so the user experience is the same, but it saves me much clicking. Update 3 – 14 Dec 2010 – I should also mention that I’ve had issues with PeerBlock getting in the way of connections to EC2. For some reason somebody involved in maintaining the IP blacklist has decided that one of the Amazon ranges is ev1L. Now that I’m aware of the issue it’s simple to put an exception in place and restart my Putty session. Update 4 – 30 Jun 2011 – After a few machine rebuilds and the discovery of FireFox profiles I’ve stopped using Wyzo. I’ve used ‘firefox.exe -ProfileManager’ to create a new profile called Proxy, and then set that profile up to use my proxy. Then I created a shortcut to FireFox with ‘-p Proxy’ appended (and pinned it to the taskbar). 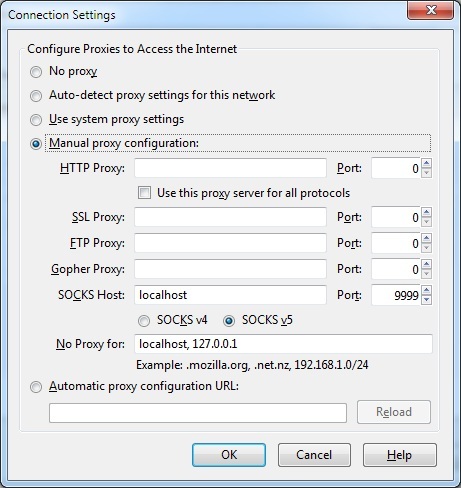 I do something similar to access US only websites however using squid proxy as well, not just a ssh tunnel. Search the net plenty of people have expanded this basic idea to include vpn access etc. The first article I found on using EC2 as a proxy also mentioned squid, though it wasn’t really clear to me what it brought to the party other than additional complexity. Lots of additional comments on this over at Hacker News. After a bit more research and experimentation I’ve had this working using an EC2 micro instance. I was initially a bit scared of by the EBS requirement for t1.micro, but that’s just because I didn’t understand it properly. EBS goes away when an instance is terminated, so the premium for the storage is minimal (if you left the lights on all month then the micro instance costs $14.40 and the EBS for a default 15GB drive would add another $1.50). I thought that Amazon was now giving away micro images. fwiw, I use a similar proxying approach to get BBC channels out of UK, although I’m having to use my own physical computer – it’s a 15 year old 90MHz Pentium box and is fine for video in an airport. The free micro instances are only for new customers (and I’ve been signed up to AWS since before EC2 even came on the scene). Proxying back to a home machine can be useful, though bandwidth can be an issue for ADSL users (as the slow uplink becomes a bottleneck). I’ve also been using IaaS machines from other providers in the UK for when I need to pretend that I’m back at/near home. If you’ve been a customer of Amazon for awhile but have not used EC2, just shoot them an email and they will usually give you a free year still. I had an EC2 account a year ago that i never actually used and they reset the year for me becasue of it. Just a quick FYI. SSH tunnel suddenly stopped working for me on multiple devices. tcpdump and sshd debug log show nothing. It is as if Amazon is blocking it. Anyone else experiencing this? No such problems at my end. Most likely issue is firewall (either local or at EC2), so I’d suggest checking config on that. is there logs of your traffic on the instance? Not unless you run tcpdump or similar. Of course it’s possible that Amazon keeps (some) logs.